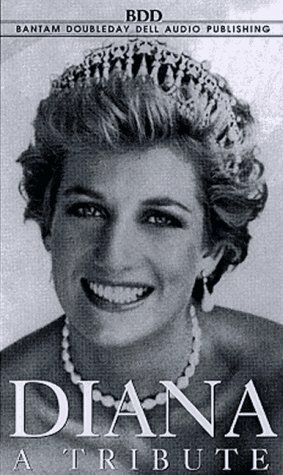 Diana, Princess of Wales: A Tribute is a unique audio portrait of this remarkable woman, tracing her life from her auspicious birth and childhood as the daughter of an ancient aristocratic family, to her school days, fairy-tale engagement to Prince Charles, and her spectacular wedding--an event watched by millions. This comprehensive audio program covers the birth of the Windsors' two sons, William and Harry, and takes listeners through the private and public achievements--including the many charitable and philanthropic efforts--of Diana, Princess of Wales. Diana, Princess of Wales features extracts from interviews with Diana's friends and acquaintances, as well as with the Princess herself. It also captures the last whirlwind year of Diana's life, during which time she weathered a difficult divorce and was stripped of her Royal title, but, happily, found new love and new hope for the future. This touching, memorial compilation also includes coverage of Diana's tragic death and her majestic funeral. A commemorative Spencer family tree insert is enclosed. A portion of the proceeds from this audiobook will be donated to the Princess of Wales Trust. If you have any questions about this product by Brand: Random House Audio, contact us by completing and submitting the form below. If you are looking for a specif part number, please include it with your message.